4730 E. Indian School Rd. Our laundry process is carried out in tepid water. 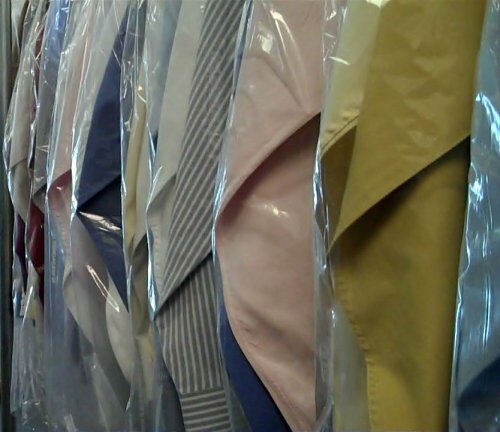 We have found that repeated washings in warmer water shrink the collars of some shirts. It takes more effort to get the collars clean in colder water with biodegradable products, but we think its worth it. The shirts are then pressed and hand finished to perfection. Broken and missing buttons are replaced. Minor repairs are preformed at no charge. The collars are supported with plastic to prevent crushing in transit, which we’re happy to have back and recycle. Hung or folded, it’s a shirt at its best.